The Annual Rochester Lilac Festival is the largest 10-day free festival of its kind in North America. The more than 500,000 visitors who attend festival each year not only get to experience over 500 varieties of lilacs, and all the natural beauty of Highland Park, but also live music, incredible food and family fun. Here are 9 things you won&apos;t want to miss at the 2017 festival. 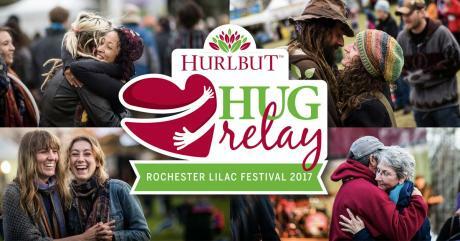 Everyone needs a hug sometimes, and this year the Rochester Lilac Festival invites everyone to be part of the biggest hug relay in the world. Help "Spread the Love" on opening day as the Rochester Lilac Festival attempts to break the GUINNESS WORLD RECORD™ for the Longest Hug Relay. This audacious bid for the record title is inspired by community leader Robert Hurlbut President and CEO of Hurlbut Care Communities. To participate register online and join us on May 12th at Highland Park. 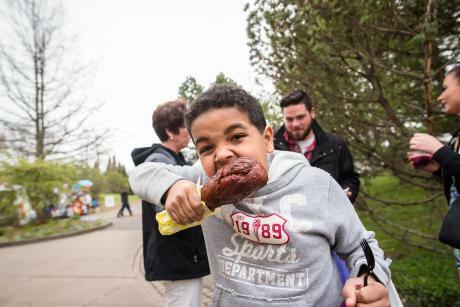 There are 4 locations to find a variety of yummy festival foods, including the Big Top Food tent, the Lilac Loop, the Top of the Hill and the Overlook (weekends); as well as additional snack vendors throughout the festival. Visitors won’t want to miss the chance to taste local regional favorites such as Abbott’s Frozen Custard, Red Osier Roast Beef Sandwiches, and of course Nick Tahou Garbage Plates. Rochester food trucks bring exciting new taste combinations like Stingray Sushi Fusion’s mix of Japanese and Latin flavors, or Le Petit Poutine, freshly made fries covered in cheese curds and gravy. 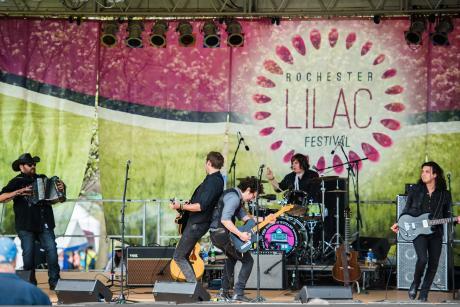 Rochester Lilac Festival has a wide variety of free concerts, with more than 80 musical acts during the 10-day Festival. Visitors are sure to find something the whole family can enjoy. Major performances at this year’s event include: Start Making Sense, Get the Led Out – The American Led Zeppelin, Skycoasters with Rock & Roll Hall of Fame Inductee Gene Cornish, The Mowgli’s, Ripe, Lettuce, Rusted Root, Gedeon Luke and the People, Jonny Lang, Quinn Sullivan, Big Head Todd and The Monsters, Kat Wright, Zac Brown Tribute Band, and Turkuaz. The first annual Craft Beverage Expo combines the best of all worlds – beer, wine, cider, and distilled spirits. The event is designed for those who crave regional, artisanal, and specialty release selections. 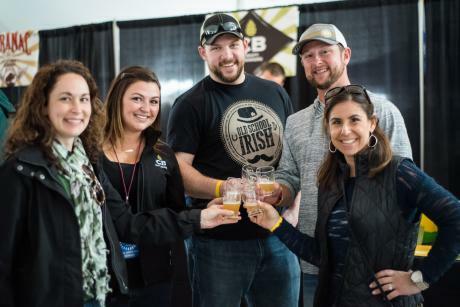 The expo features 35 breweries, 15 wineries, 9 cideries/cider houses, and 6 distilleries from across the northeast include some regional favorites such as Casa Larga Winery, Black Button Distilling, CB CraftBrewers, ROC Brewing and Genesee Brewery. Guests will also have access to food pairings from the New York Wine and Culinary Center and other regional vendors. 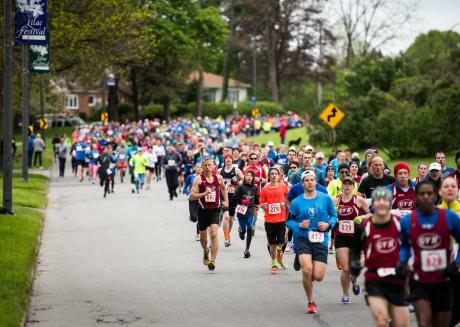 More than 3,000 runners from across the region take to Highland Park every spring for the annual Lilac Run, a tradition that has endured nearly 40 years. For the first time, a portion of the proceeds will benefit a local charity – Willow Domestic Violence Center. In addition, racers (individual and team) will compete for the best “passion for purple,” outfits. Also new, is The Dunkin’ Donuts “DD Dash,” a half mile sprint down Highland Avenue. to eat Munchkins™ and then back to the start. This Festival staple also comes paired with an official after party complete with live DJ, pancakes, mimosas and Bellini’s (available for purchase after 12:00 p.m.). 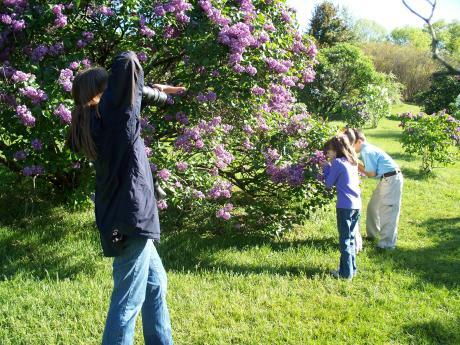 The Rochester Lilac Festival is a family event full of fun activities for visitors of all ages. Kicking it all off is the annual parade on May 13th with more than 2,500 participants, including 20 marching bands, dancers, costumed characters, and more. See family friendly performances at the kids stage including this year&apos;s special guest Curious George. 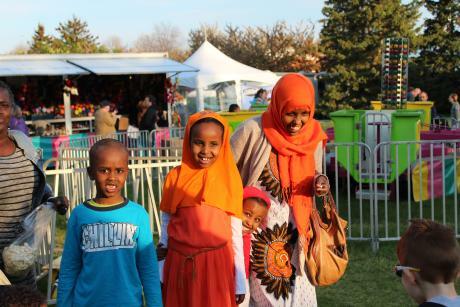 Kids will also enjoy festival rides and bouncing houses. Hey kids, don&apos;t forget to bring your adult with you, they are perfect for holding your cotton candy while you play. It&apos;s like Dancing with the Stars but with green thumbs and no dancing. 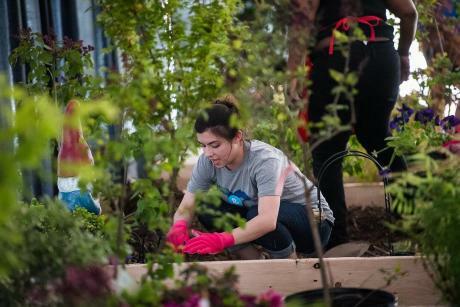 This fast-paced charitable contest was inspired by popular reality-based competitions and serves as free family entertainment that tests the gardening skills of local media celebrities. Watch as local Rochesterians including Scott Hetsko, Mark McLean, Bill Moran, John DiTullio, Sarah Taddeo, Will Cleveland, Dino Kay, Gary the Happy Pirate, and a team from Channel 8 compete to create beautiful gardenscapes with the help of a master horticulturist. Visitors will vote for their favorite garden. The 1st place winner will receive $1,000 for the local charity of their choice. Of course the star of the show is the Lilacs! There are over 500 varieties of lilacs at Highland Park in Rochester, NY. Each has its own color and look, and they all smell amazing. The fragrance wafting throughout the park is heavenly. Bring your camera for incredible up close pictures of these gorgeous flowers. More than just lilacs, visitors will also enjoy tulips, the pansy bed, and the Lamberton Conservatory featuring plants from all over the world. ART in the Park is two weekends of shopping with more than 160 artists, makers, designers and craftspeople. Discover unique pieces from across a variety of media including ceramics, drawings, graphics, fiber, glass, jewelry, sculpture, wood and mixed media along with specialty packaged foods and body care products. 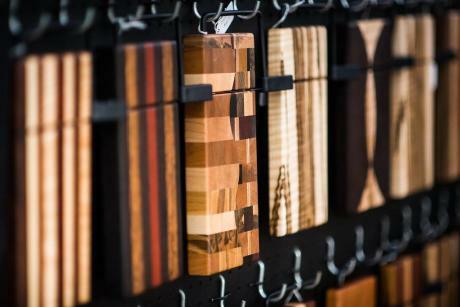 Each artisan is carefully selected for a wonderful shopping experience. Don’t forget to pick up official festival merchandise like the official Rochester Lilac Festival Poster! Most photos can be found on the Rochester Lilac Festival Facebook Page.